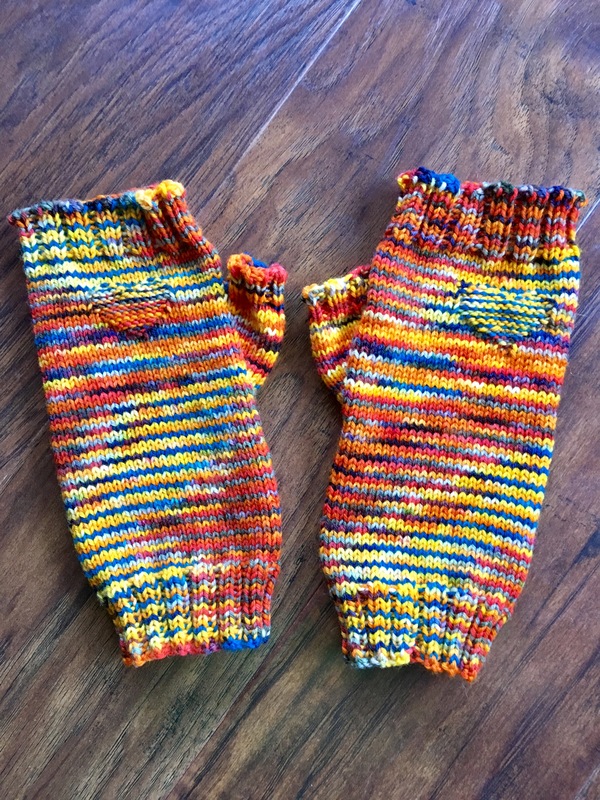 After the Yarn Barf incident and then my finished Rainbow Pop Sockhead Slouch I FINALLY got started on my finger-less mitts to match. 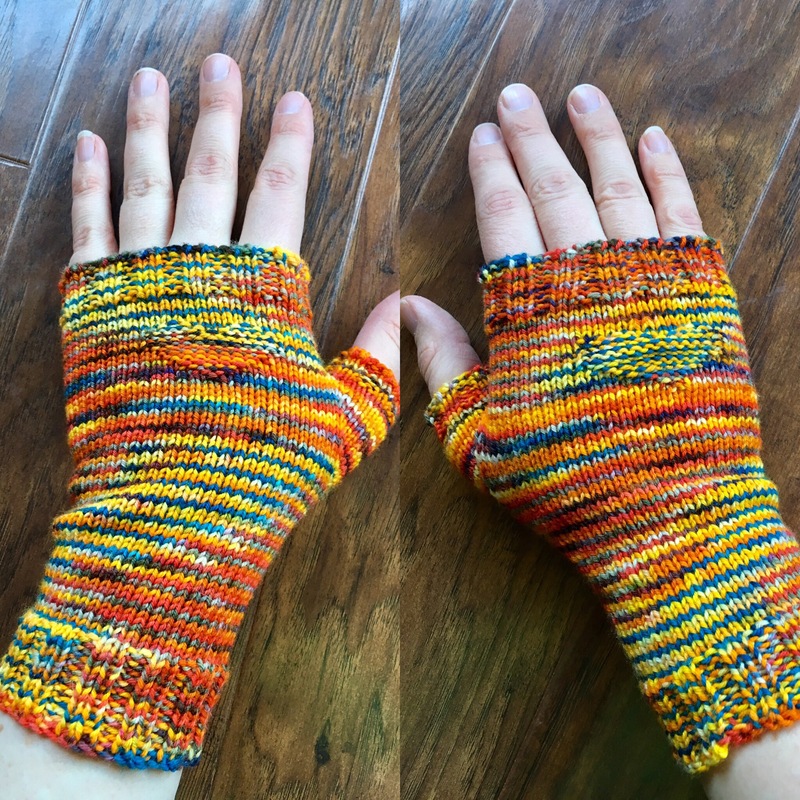 And thank the Yarn Gods, I managed to get a good gauge and have the rainbow blips fall nicely around the mitt on the first try! Now all I have to do is just keep knitting!!! P.S. 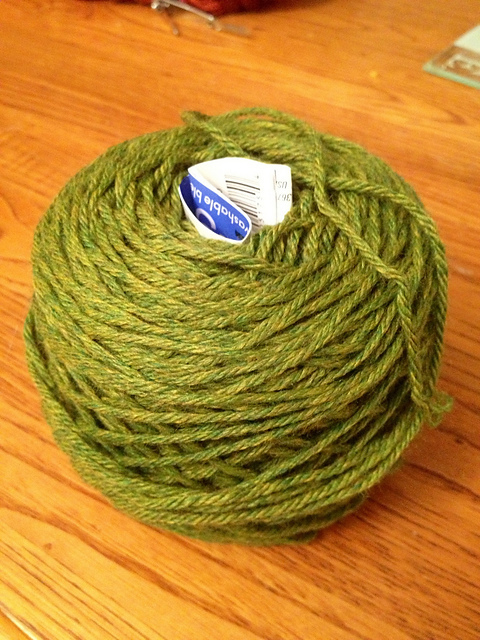 the yarn barf cake is now a nicely hand wound ball. 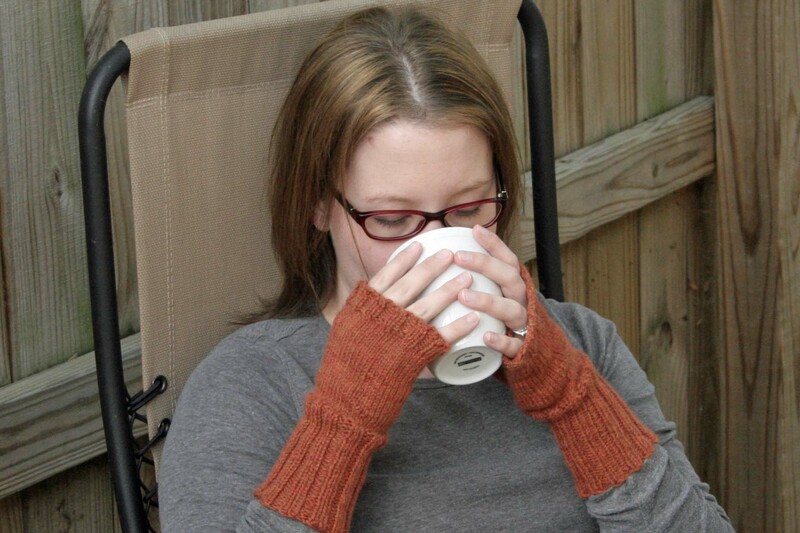 I’ll knit this project and then probably re-cake (loosely) for storage. 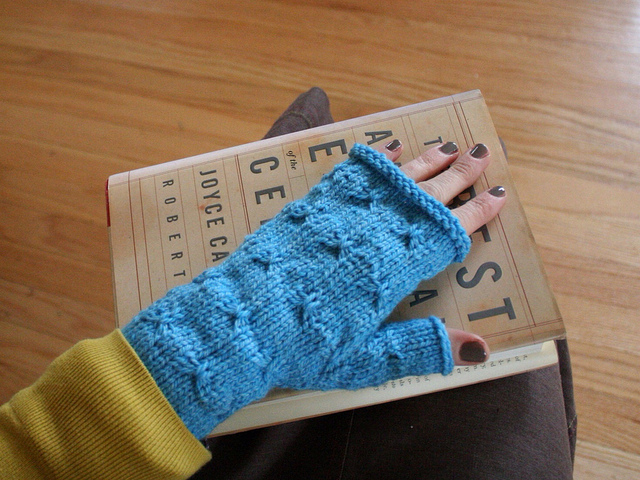 I recently purchased this amazing pattern on Ravelry, Mackinac Mitts. I have several women in my life who adore butterflies, including my SIL. 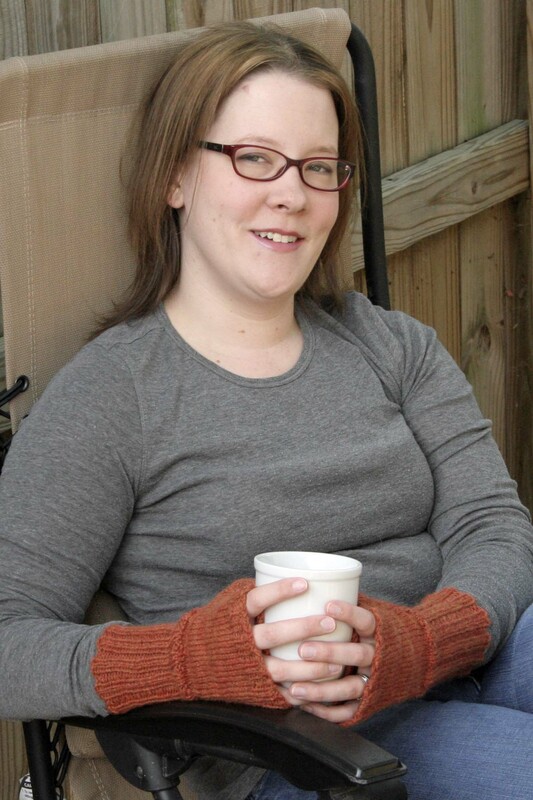 This pattern calls for worsted weight yarn and look to be an easy and fun knit. 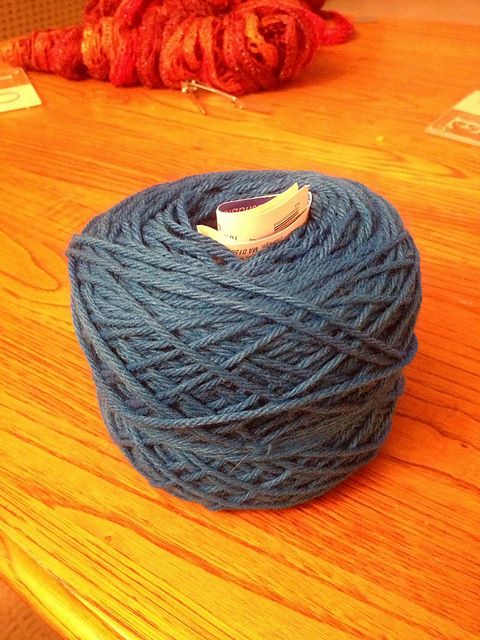 I just can’t decide what yarn to use….so I’m asking the wisdom of the blogging world. 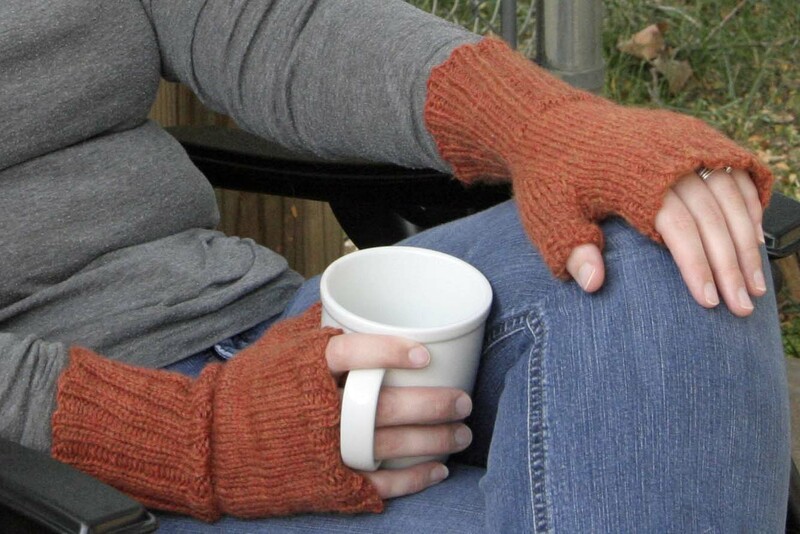 I managed to overcome “SSS” or “second sock syndrome” and I have completed my fingerless gloves for fall! 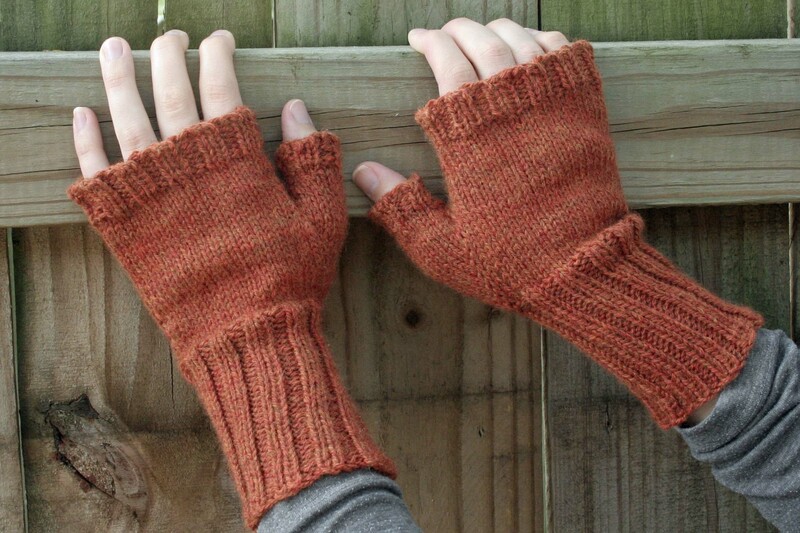 These Simple Fingerless Mitts were very easy to make, despite being on DPNs. 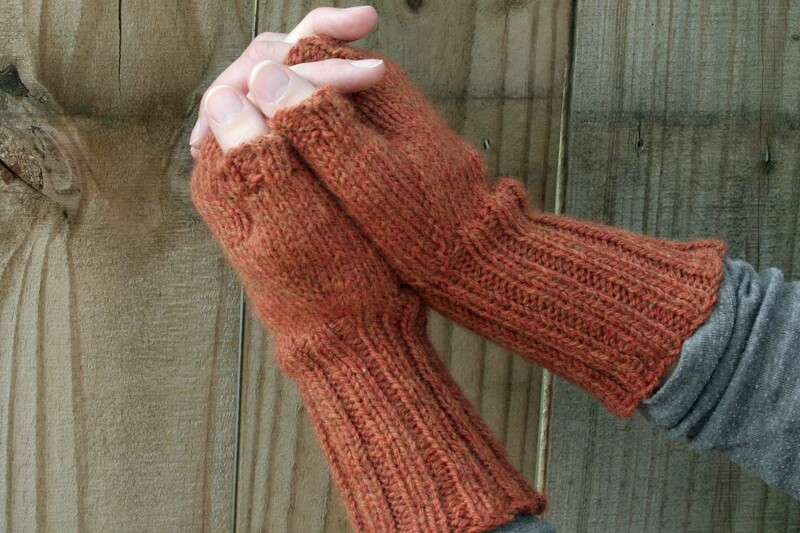 I had a single skein of Berroco Vintage DK in orange with a few slight tweed flecks. I knit on size US 6 needles because I didn’t have any 5s. Gloves still turned out and fit pretty well. 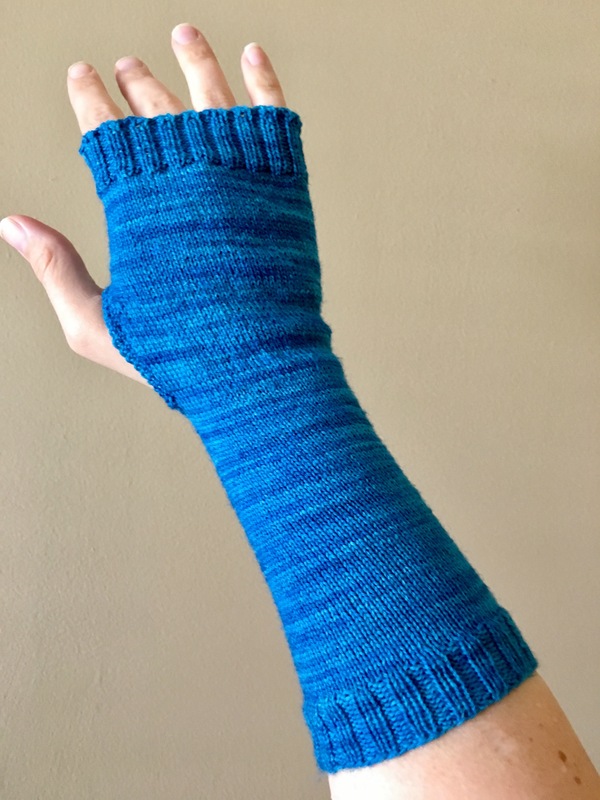 They might have been too small on the smaller needles. I wanted to make sure the gloves were long enough to tuck inside the sleeves of my coat. And I was very happy with this mod. 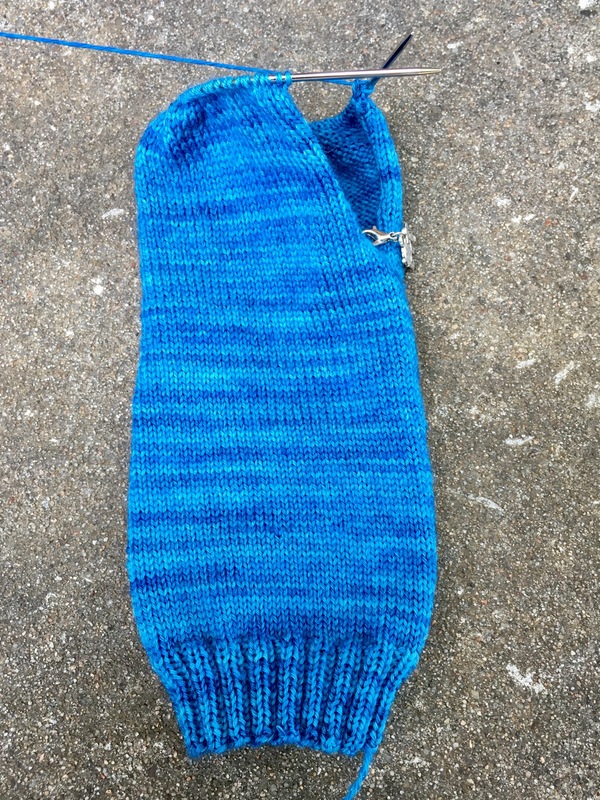 And the best part is that I only used half a skein, so I can knit a whole second pair for a Christmas gift. Now I’m off to refill my cup. I wish everyone a very happy Friday! And as always, Happy Knitting!! !